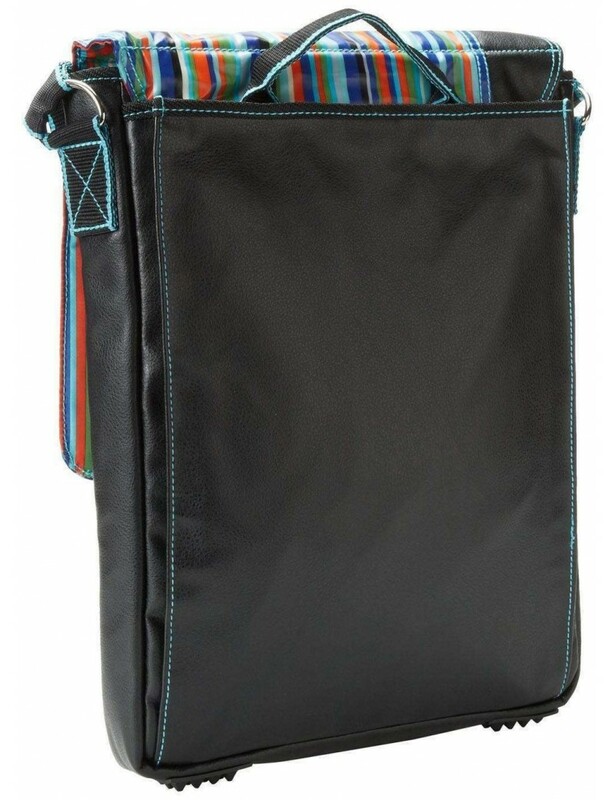 Tote your iPad and a few other essentials around town in this hip, colorful messenger bag from Hadaki. 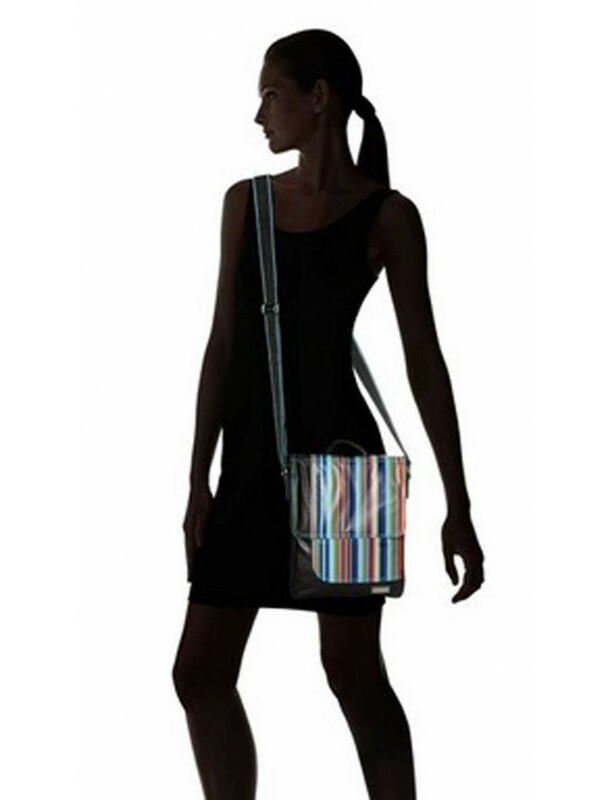 The Hadaki On the Run iPad Messenger bag features a vinyl exterior and an inset panel with a mod, multicolored floral print that gives it a hip look. 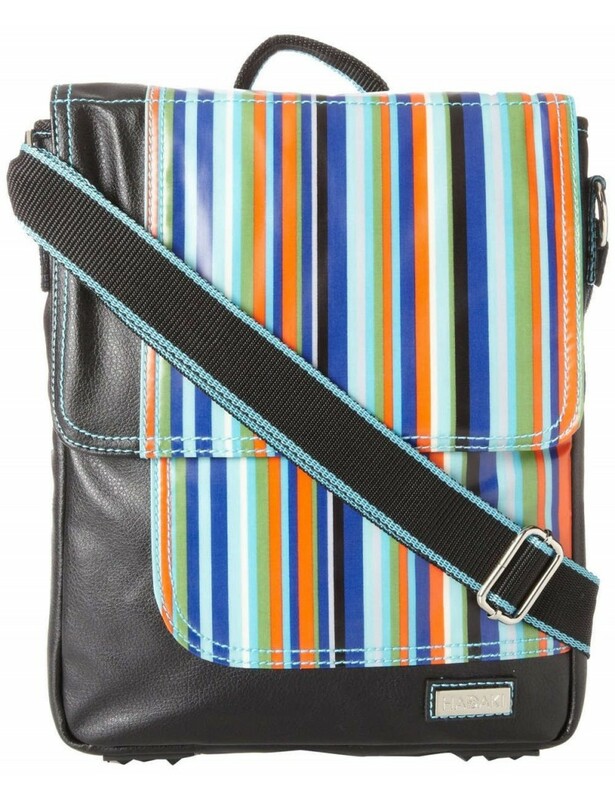 This messenger bag has a flap front design with a magnetic closure and a bold striped cushioned interior that offers plenty of room for your tablet, iPad or iPad 2, or eReader, and a few other essential items. 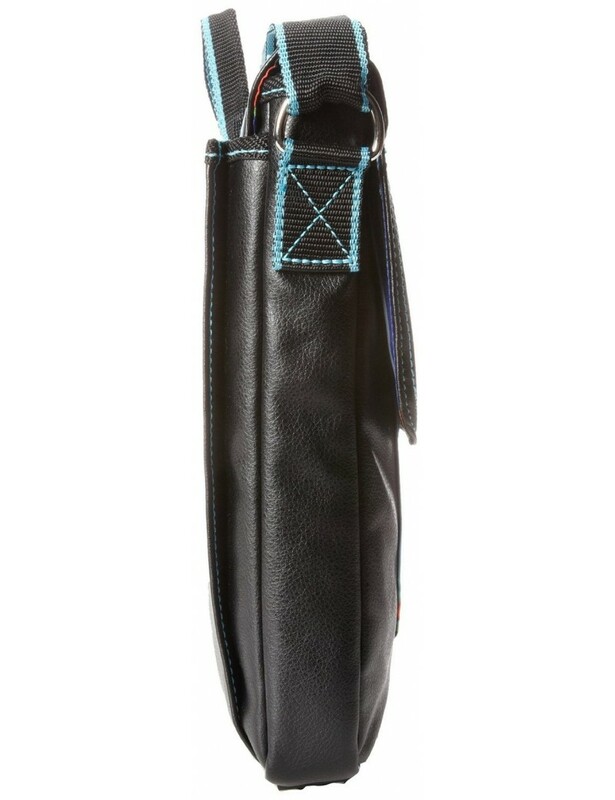 A front zipper pocket underneath the flap and an open rear pocket offer added storage for slim items and files.